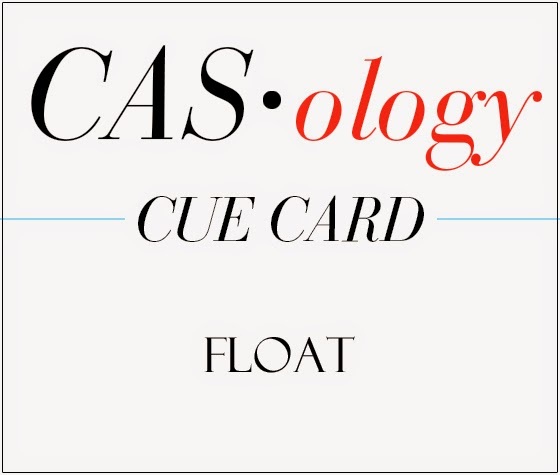 A quick card today, just in time to enter the CASology challenge for this week with the cue word: Float. 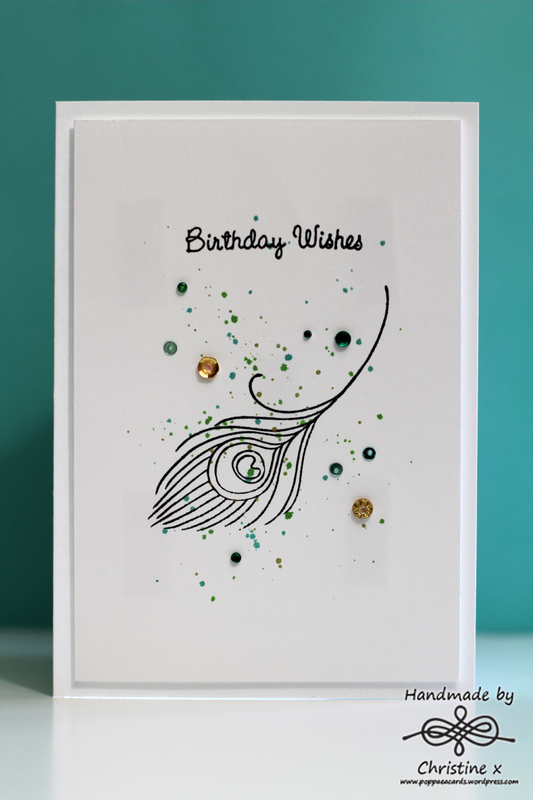 I used the single feather stamp from the Stampendous set, Jumbo Peacock. I then used Distress Inks in Peacock Feathers and Mowed Lawn, as well as Perfect Pearls in gold mixed with water to make the splatter spots – I did mask off an area around the feather so as to be able to control where the spots went. I then had a rummage through my sequin pot to find some bling to match. The deadline for entry is ticking away so I must go and post this straight away – please leave me a comment and let me know what you think, Cx. Christine, I love this card! I love the black and white sentiment and images paired with the splashes of color and sequins. CAS loveliness! Thanks for joining us at CASology! Your splatters look so perfect, mine always end up kinda…. everywhere lol, I just love your CAS design!